Our last stockist in our home town of New Mills in Derbyshire closed over a year ago now, and we’ve really missed not having an outlet on our home patch. So we’re delighted that a new High Peak Food Hub has been set up in a really central venue, the Butterfly House at the Torrs Cafe/Bar. It’s a Thursday evening food market with other local food producers also doing pop ups or deliveries, and you can place orders for other products via Sauced Here in Bakewell, which will be delivered to the cafe for you to pick up. 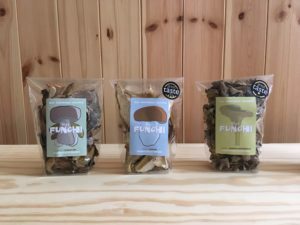 Come and grab one of our trademark wild mushroom toasties and stock up on wild mushrooms and other goodies on Thursday 19 July from 5.30 – 7.30.